To celebrate the 30th anniversary “The Little Mermaid” Dives into the Walt Disney Signature Collection. It will be available on Digital, 4K Ultra HD and Movies Anywhere on February 12th and 4K Ultra HD and Blu-ray™ on February 26th. For the first time ever in sparkling 4K Ultra HD featuring a sing-along mode along with over 45 minutes of exciting new bonus features for new and old fans alike to enjoy. The magical, musical tale of mermaid princess Ariel along with loveable sidekicks Sebastian and Flounder, and the love-to-hate sea witch Ursula is sure to make a splash with all generations. The story is based on Hans Christian Andersen's classic fairy tale about a beautiful mermaid princess who dreams of becoming human. Walt Disney Signature Collection will include never-before-seen bonus features bring legendary composer Alan Menken and some of Disney's most recognizable leading ladies together around a piano to reminisce, sing and celebrate “The Little Mermaid.” The latest installment of “Stories from Walt's Office” compares Walt and Ariel's love of collecting treasures. Viewers will receive an inside look at the “The Little Mermaid” cast in their original recording sessions, explore hidden treasures and fun facts from the film and y a special performance of “Part of Your World” by a cappella singing sensation DCapella. There is access to hours of additional classic bonus features. If you are in USA and would like to win a copy Walt Disney Signature Collection The Little Mermaid Blu-ray enter the giveaway using the giveaway tool below. Please leave comments and follow my social media networks to be eligible to win. This giveaway ends on February 26. I would like to win this movie because I watched it over and over again when I was a lot younger. I would like my kids to get to enjoy this movie too. My granddaughter would love to see it. Little Mermaid is a favorite of mine that I love to watch with the kids. 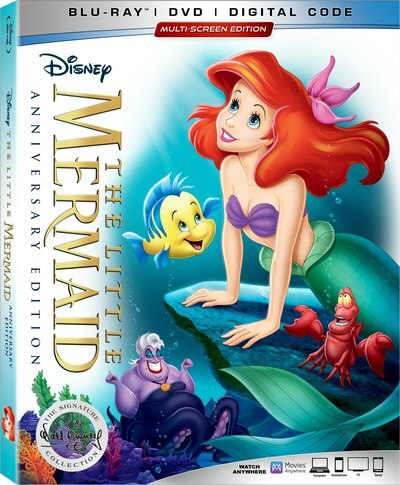 I want to win this The Little Mermaid movie for my granddaughter she is such a huge fan ! My kids are 3 and 2...and just now discovering their love for Disney! I would love to win because this is a great movie and my grandsons would enjoy it. My granddaughters love this movie (and some of my grandsons too!). I also have a new granddaughter coming! I want to win it because it enjoy Disney movie especially the animates ones and this movie is a classic. I want to win this great DVD so that I can watch it with my family, it has been a long time since we have watched this. I'd like to win because was my daughter's favorite movie growing up! I would love to watch this with my family! 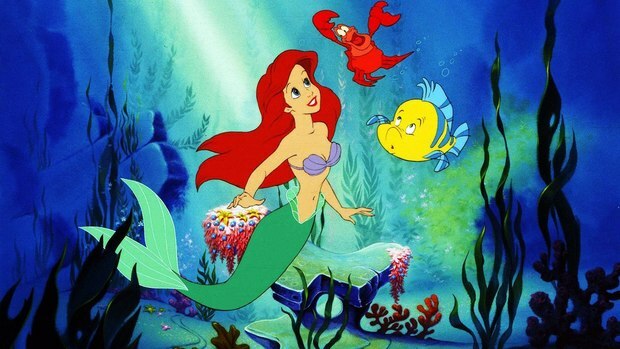 I would like to win because I have such fond memories of the songs in The Little Mermaid! Would enjoy watching it with my kids. I would like this to watch with my kids. This has always been a favorite of ours.